Dr. Shambhu Kumar Sah is a renowned Physiotherapist in Kempegowda Nagar, Bangalore. 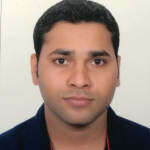 He has over 9 years of experience as a Physiotherapist. He has completed BPTh/BPT, MPTh/MPT . He is currently associated with Shreenagar Nursing Home in Kempegowda Nagar, Bangalore. Don’t wait in a queue, book an instant appointment online with Dr. Shambhu Kumar Sah on Lybrate.com. Lybrate.com has a nexus of the most experienced Physiotherapists in India. You will find Physiotherapists with more than 25 years of experience on Lybrate.com. You can find Physiotherapists online in Bangalore and from across India. View the profile of medical specialists and their reviews from other patients to make an informed decision. Sir, I had suffered a severe ankle sprain on June, 2016, while playing football. And still I have a pain while twisting and turning my ankle or putting excess pressure and I can not play as it hurts when I try and rotate or swing my ankle. Though I can walk and run with my ankle straight and not twisting it. I had my X-ray done - A small bone island in talus and No bony injury. I had visited 2 doctors and was under medications till september but nothing really worked out. No plaster was done and only medicines were suggested. What can be done so what I can be all up and running once again? Please help me. Stretch Calves . Stretch Calves Get a custom made insole. Hams Stretching. Sports Taping. Hot Fomentation. I have worked in IBM in Hyderabad desktop job so getting a back pain so that is the best solutions tell me. My 67 year old mother is a chronic Rheumatoid Arthritis and High Blood Pressure patient for over 2 decades now. Due to very little mobility her ankles are mostly swollen and her feet are very very dark brown in colour. Doctors say it is due to poor circulation and she needs to walk around to improve t. Her knees are terribly painful so she can hardly walk. i m recommending you an following remedy which will surely help you Natural home remedy using coconut oil: 1. Take ½ cup coconut oil 2. Heat the oil till it turns lukewarm 3. Massage the oil on the affected knee joint The massage improves the blood circulation in the region and provides relief from the pain. This is very helpful for you. I am 22 years old and my body weight is 63 to 65 kgs. I had an accident 2 years ago and I got fractured on my left leg (fumer and tibia) and had an surgery with stainless steel plate. Due to this accident my knee's ligament (ACL and PCL) has been injured, and due to ligament surgery I have to remove my plate. I want to do this surgery after my graduation (2 years remaining). So my question is how long I keep this stainless steel plate inside my leg? And is it OK if I'll keep stainless steel plate inside my leg for 4 to 5 yrs? You can keep the plate for as much time you want but the problem is you have instability in your knee due to ACL/PCL injury and if you don't get the reconstructive surgery done then your whole knee will be spoiled latet. It’s very important to keep the hips flexible and strong, as they take considerable stress from everyday activities like walking and climbing stairs. This lunge goes beyond the usual range of motion to open the hip joints and provide a deep stretch in the hips and thighs. 1. Standing tall with your feet shoulder width apart, step your left leg forward with a longer than normal stride. Land softly with weight evenly distributed over the heel and mid-foot,extending your right leg behind. 2.Move into a deep lunge by lowering your hips to the floor, bending your right knee, and placing your left hand on the floor for support. 3.Don’t allow your knee to cross over your ankle as you bend the front leg Feel the stretch through both Move your right fore- sides of the hips arm inside the left leg to stretch deeper. Keep your back straight and hold for 15 to 20 seconds, and then repeat on the opposite side. 4. For more strength and better balance,contract your glutes on both sides throughout this movement. As an added bonus, you’ll train your glutes to be engaged in other everyday movements. Performing stretches that combine multiple muscle groups can be very effective.Not only does this allow you to multi-task as far as stretching is concerned,it’s also practical because most activities involve more than one major muscle group. 1.Stand with your back straight, with feet and legs aligned and hands on hips. Engage your core muscles as you move into the lunge Step forward 3 or 4 feet with your left leg. 2.Keep a slight bend in your right knee back behind you.Slowly shift your weight on to the front foot and find a balance without wobbling. 3. Keeping your torso squared, raise your right arm overhead and drop your hips slightly lower to the floor until you feel the stretch throughout your body.Hold for 15 to 20 seconds. Repeat on the opposite side with your right leg in front, left leg behind, and left arm overhead. Have knee cap pain while trying to stand or sit or any other activities that involve some body weight pressure on knees. Also knocking sound also come when doing the above physical activities. I have pain in my stomach and legs for over 2 days so what should I do? And I am feeling so tiered. Hello, 1. You can apply volini gel 1% local application twice a day for 3-5 days 2. Hot fomentation twice a day for 3 days I am giving to some common reasons for leg pain 1. Generalized weakness 2. Anemia 3. Physical exertion and any trauma 4. Lack of protein in diet 5. Any infection present on leg or foot 6. Muscle weakness 7. Abrupt start/ stop of physical exercise 8. Vit d and calcium deficiency kindly consult physician for further management. I am 23 years old and I am having difficulty in lifting my right hand above the shoulder level. 2 weeks before I fell off from the bike on the same shoulder. I don't have any excess pain bit my range of movement is decreased. What exactly must be the reason? you will get exact reason after doing MRI scan. in your case there is chances of ligament injury due to trauma . 1) Do massage with warm sesame oil or suitable oil for 15 min., afterwards take hot fomentation for 10 min. 2) Do regular stretching exercise Give feedback after 7 days. Ia getting pain in all my joints, like wrist, leg, in winter season its going high, am having all types of food, veg and non veg, can you give me solution? Hi lybrate-user its common in winter do 1 thing do the stretching exercises for your pain full joints. It will relief your pain. If you have any doubts revert me back.